My app was also completed on Oct 3. Just called Ms. Naisha today she said my decision is still pending. I asked her how much longer should i find out about my decision, she said she cant guarantee and said that if decision is made after the next interview in Jan 7, there will still be more dates for interview (if invited for interview). Just received an invitation to interview via email yesterday. January 7th! Beginning of November. Got the application complete email November 5th, so it's been about just a month. Has anyone submitted a supplemental app and been declined (without completing an interview), yet? Just wondering if they send out decline letters AFTER the interview process this spring or as they look over applications. Congrats to the January interviewees! My application was considered complete on 10/24 and I received an interview invitation via email on Friday, 12/6. The email says that interviews are conducted on Tuesdays only. My scheduled interview date is for January 7th. I decided not to attend the interview and will be withdrawing my app. Goodluck everyone! I interviewed 11/19 and received my acceptance letter 12/07.. cant wait ! To those that have been accepted... Mind sharing some of your stats? Just to have an idea what they look for! And interview tips would be greatly appreciated. Willow I'm not exactly sure what specific stats you want but here is some basic ones for me. I had science GPA 3.7, overall 3.4 or so. Graduated from UCLA in physiological sciences & integrative biology. Had 600+ hours internship at hospital during school, 2000+ general volunteering, HCE experiences include EMT and medical intern at hospital (hours im not completely sure, maybe 2500-3000 so far), I currently volunteer for 2 free medical clinics, etc. I have no GRE scores or MCAT. I continue my volunteering and also shadow health care professionals. UHHHH that may be it :).....I can't think of any other pertinent information! Hi everyone!! Is anyone scheduled for interviews on January 7?? Let me know!! Also, for those that interviewed already, how was the format of the interview like? Anything helps! Good luck to all!! Hi!! Congratulations on your acceptance!! Are there any tips or any advice you could give me for the interview? I'll be interviewing January 7th. I'm from out of town so I'm just trying to get everything sorted, down to my shoes!! Did you wear heels? (even though they advise not to) Is the interview an all day thing? What was the format like? Hope to hear from you soon!! I'm very nervous! I am not speaking from personal experience, but did shadow two Touro PA alums. Their advice was both simple and straight-forward. 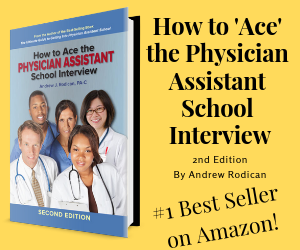 Be yourself, answer honestly, and be well-read on current PA news (they advised subscribing to publications such as AAPA). I've also read on older posts that current Touro students recommended wearing attire aside from the traditional navy/black. I'm sure it's not a deal breaker, but they urged those who prefer colorful business attire to feel free and express. Good luck! I believe that it generally takes 2 month from supplemental APP. completion date. I was received completion email at 12/6. So, those who received completion email on Dec, may (hopefully) get on Feb. interview opportunity. Don;'t mind please share date. Anyone heard about an interview in Feb? I am giving up my spot as I have been accepted elsewhere. Good luck everyone. Congratulations @aiviphung! I got an email yesterday inviting me for an interview March 11th. Just wanted to let you all know. Any tips on the interview? Congratulations Martha. When did you submit your supplementary application? I also got an email yesterday offering me the 3/11 interview date. I submitted my supplemental app 11/13/13.